OpenTable recently revealed its list of top restaurants for outdoor dining, as voted by OpenTable users. While many of them were standouts for their jaw-dropping views of oceans, deserts and mountains, the spaces represented a variety of settings from garden patios to rooftop decks. So what makes a good outdoor space, and are you missing out on visits because your al fresco is just so-so? Here are a few tips to make the most of your decks, patios and other outdoor dining areas. 1. Consider all aspects. On one hand, outdoor seats are cheap seats. You don’t have to pay for walls, air conditioning and the like. On the other hand, there’s more to it than just setting up a few tables and chairs. Expenses include costs associated with health, fire, ADA and building codes, pest control, servers’ stations, lighting, space heaters and fans. A landscape budget is important as well so that the space looks planned and not like an afterthought. Even small things—like heavy tablecloths and menus that won’t blow away—can add up. “If you can only fit one row of tables, I might say ‘Don’t bother,’ says restaurant designer Tim Trapp, president of Boulder, CO-based Trapp Associates. Because much of the fun of eating outdoors is the buzz and the social interaction, “two rows of tables, staggered, is ideal,” he says. “Of course, if your setting is killer, and you only have space for a few tables, go for it.” Also consider back-of-the house impact. Do you have the dishroom, kitchen, bar and storage capacity for the extra business? 2. Don’t try to compete with nature. Have a great view from your patio or deck? Don’t mess with it by over-decorating. If, on the other hand, there’s nothing to see but asphalt and cars, go ahead and pull the focus inward by installing that water or fire feature. New designs in space heaters, such as tall fire columns provide both form and function. (And, if you have a fireplace or fire strips on tables, why not menu small sausages or marshmallows that guests can “cook” themselves?) “Don’t try to bring too much of the indoors out, but keep your brand in mind when making choices outdoors,” says Trapp. “Your customer outside is the same customer inside, so make sure you’re giving them the same experience.” His mantra for indoor design extends to the outdoors as well: Comfortable, sophisticated, inviting, relaxing, timeless. 5. Seating considerations. Traditional four- and two-tops? Lounge arrangements? Bar-height tables and chairs? As you would when designing indoor space, ask who your customer is. Business diners? Couples? Big groups? Outdoor space gives you some ability to loosen up, as well. “A community table can work better outdoors than inside because it’s more relaxed,” Trapp says. “Keep community tables at bar-height, though, because it’s more approachable.” If you’re thinking of a lounge space, ask first if your menu is conducive to it. Or build items into your menu that are lounge-friendly. Think little plates and items that don’t need to be cut. Choose lounge furniture carefully and make sure it’s conducive to eating and drinking. Deep, soft chairs and sofas look inviting, but they won’t move liquor. Shallower, firmer seating ensures customers won’t have to struggle up and out of their seats to reach their wine glass. Be careful with surfaces, too. Coffee tables with legs and open space for guests’ feet—as opposed to cube-shaped pieces—make eating in a lounge area much more comfortable. In June, Pizza Hut announced it would spend $5 million to renovate its locations in Jacksonville, Florida. The investment would pay for a “transformation to a more contemporary look and improved customer experience” in the seven dine-in and 23 delivery and carryout restaurants in the area. If you want to update your restaurant’s look and you don’t have the $167,000 or so that the Dallas-based company will spend on each unit, don’t worry. There are many low cost ways to renovate your restaurant. The three partners opened Pizzeria Amoroma in June of this year. Lavecchia says they bought half the equipment used. Sometimes he stumbles on unusual fi nds. He bought a set of china from a restaurant that was going to go Kosher. “They were going to throw it all away,” he says. Wall art is important, says Larry Cukjati, owner of HD Canvas Art in Overland Park, Kansas. “What it allows operators to do is revise that eye level area of the restaurant that people see when they walk in,” he says. The company makes canvas art with high resolution digital photos and an ink and oil combination. Cukjati’s advice: make sure your art matches the theme of your restaurant. If you want to be the local place, art from area artists makes sense. If you have a Tuscan bistro, maybe you want to put up photos of Tuscany. Also, if the new framed pieces are a different size from what hung before, be sure to clean the wall. Don’t leave a dusty frame outline. “The first calling card of any place is the cleanliness,” Cukjati says. There are other places in the front of the house where a tidying up will work wonders. If your lobby is cluttered with stacks of free community newspapers, candy machines, and a plastic plant that looks like something from a 1970s sitcom, get rid of it. Lighting is also important. Tim Trapp, president of the design fi rm Trapp Associates Ltd in Boulder, Colorado, says you don’t have to buy new fi xtures. Sometimes just a different bulb can change the feel of the place. 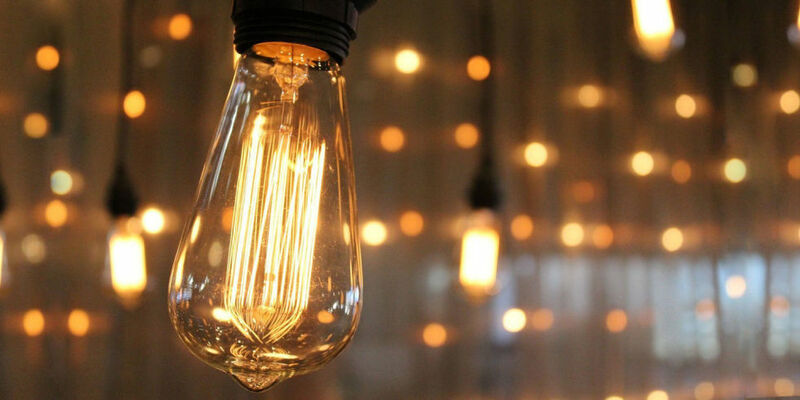 Amber bulbs, or even regular bulbs under a parchment shade, give the restaurant a warm atmosphere. “With an amber soft light, customers say, ‘Gee, I feel so comfortable here and I don’t know why,’ ” Trapp says. Soft pink lights also work well. If you have a small redecorating budget, consider renovating only the bathroom. Tim Trapp, president of the design firm Trapp Associates Ltd in Boulder, Colorado, says customers often form an opinion of a restaurant based on their visit to the restroom. “People come out and they tell each other, ‘You have to go in there and see the bathroom,’ he says. “Creating outdoor dining space has become a sort of collective madness in the restaurant world. 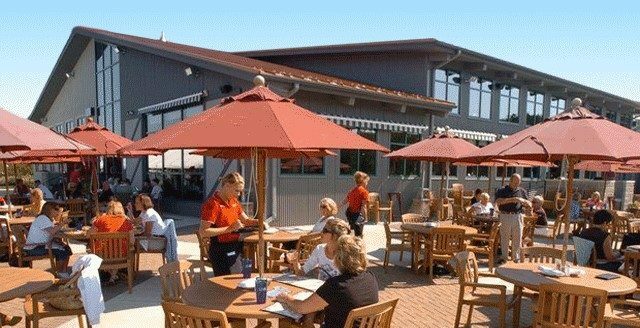 It’s not just the allure of dining outside, enjoying warm sun or soft breezes that drives this trend; it’s also the tangible business benefits of increasing the number of available tables a restaurant has to sell. The result is outdoor dining just about everywhere – on porches, decks, rooftops, in parking lots, and, in some urban locations, on commandeered stretches of public sidewalk space. The results can range from delightful to horrific; in the latter category a dining deck located immediately downwind of the restaurant’s dumpster comes to mind. What does it take, then, to create a truly attractive outdoor dining space? In a recent article in “Restaurant Hospitality” authored by Gina LaVecchia Ragone, Tim Trapp, principle in a Boulder, Colorado-based restaurant design firm, shared his thoughts on the subject. One of his primary observations was the importance of making sure that outside dining offered something comparable to what a patron sitting inside would experience – equal levels of comfort and service are essential. He also discussed the importance of layout and design. Ideally outdoor dining should be accessible without the staff having to march through the dining room, creating drafts and disruption. Moreover, it’s important than any outdoor space add-ons are within the capacity of the restaurant’s infrastructure – kitchen, warewashing, food storage, and the like. Putting an “emotional lid” on an outdoor space is also a best practice. Sitting under an open stretch of sky can, Trapp asserts, be vaguely disconcerting. He suggests using latticework or strings of lights to give an al fresco space a sense of overhead definition. There are some noteworthy outdoor dining spaces here in Western Massachusetts. Some have spectacular views; the champion on that score is the Golden Eagle Restaurant in Clarksburg, which is located on Route 2’s “hairpin turn.” Its dining room and balcony offer amazing “hundred mile” vistas of the distant Taconic range. More intimate in terms of outdoor perspectives is Alvah Stone in Montague, with its deck looking out across a wooded glade through which the Sawmill River flows. I’m also a big fan of two urban spaces. Both are in Northampton, and both are second story dining porches. One is at Mulino’s on Strong Avenue; the second is part of Osaka on Old South Street. Both offer something akin to the sidewalk dining experience but without the street level noise and distraction.